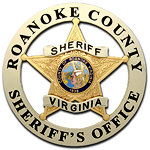 Administration handles the overall supervision and leadership of the Sheriff's Office, including professional standards and budget. Corrections security provides temporary supervised housing for persons entrusted to the Sheriff's Office care. Civil/Court security provides a secure and safe environment and maintain order in the courtrooms/courthouse for all members of the judiciary and the public.